As much as traveling to a new place is fun and exciting but as a tourist it is a must to have some basic knowledge about the country and place they are travelling to. Cape Town is a tourist centric – a relaxed and a laid back city but sometimes the actions of tourists can really get under the local skin. However if you are planning to spend some time in South Africa, following are a few touristy tips and some “need-to-know” about Cape Town. Along with a few things you should not miss, I would also like to point out the things you should never do as a first time visitor. “Cape Town is safe enough if you take precautions. There are really two cities here, but the crime stats blend them together” – as one elderly local of Cape Town warns the first time visitors. You must be prepared and take a few safety measures for your protection when you are to visit Cape Town. The city experiences a high crime rate and as about 90% of the crime are seen by the poor communities, however the city centre and central business district have much better security than the suburbs. There are no compulsory vaccinations for Cape Town. However, in general you should make certain that your vaccinations for tetanus and for polio are up to date. If you are travelling to Cape Town from a yellow fever area you need a certificate of immunization adjacent to yellow fever. for example: Angola, Benin, Burundi, Cameroon, Congo, Republic of the Côte d’Ivoire, Democratic Republic of the Congo, Ethiopia, Gabon, The Gambia, Ghana, Guinea Kenya, Liberia, Senegal, Sudan, Uganda are yellow fever areas. Cape Town is currently experiencing a severe water crisis recorded in the last 100 years. The water crisis had hit the city rock bottom for which the authorities have put strict regulation on the supply of water elsewhere in the country. It’s a huge challenge for the government to overcome this situation but scientists hope and believe the winter rains will restore the damns and eventually level up the water. With less water reserves Cape Town is a water scarce city and using water means using the resource wisely than our usual nature? Be minimalistic in the usage of water as there might be a shortage at any time. No matter where you travel in Cape Town keep in mind never to showcase your money, jewelry, watches, mobile phones or rings etc. Similarly a lot of opportunistic crimes against the tourist population happen in the city. All you need to do, is avoid flashing your belongings and seem humble in appearance to fend off any kind of unwanted following. South Africa is a vibrant country but to a great extent the country also suffers from poverty. A great number of the population is homeless and beggars can be seen on the streets which you will encounter quite often. The central business district, Cape Town is the busiest city however you are more likely to get approached by them. The officials also warns the general not to help them directly by handing out cash – controversial as it may sound but personal safety should always come forth at all times. There are many ATM Card scammers and felons and individuals who may approach you for assistance, don’t get carried away, by giving out your card or any detail or even allow them to swipe your card for any bill. Be alert at all times about your possession and wisely use your important cards and documents. It’s ignorant of a lot of people to think the official language of South Africa is African. It’s also very disrespectful and offensive to ask the locals if they speak African. Rather than pilling everything you know about the culture in the same pot, do a little research on the widespread languages in the city you’re going to (in Cape Town you’re likely to stumble upon isiXhosa, Afrikaans and English the most). When you are using the trains in RSA, you have to be aware of the long queue especially in the summer times. To avoid the long waiting queue catch the train somewhere in the mid morning and you would be able to tour the major attractions of the city. The major tourist’s attractions are the Robben Island, the magnificent Cape Point, and the Table Mountains. You shouldn’t miss any of those. To ignore the queue you can use your smartphone or laptop to purchase tickets online, which is more convenient. The table mountain cable way is a must ride to experience, which usually gets overcrowded as the day progresses. If you are lazy or not the one to go for a hike, don’t worry, plenty schedules are available to plan your trip from their website, and you’d be able to find a time best suited for you. After you’ve only visited the town you cannot claim you have visited the entirety of South Africa. There are many known and safety proof ways to connect with South African locals but going on mini bus ride and uploading a few pictures with a few black children isn’t one of them. The Cape Town traffic system on the other hand is not fluid as traffic congestion is always there to be found. The traffic conditions gets worse during the peak hours and it’s not surprising if you still find yourself stuck till the evening from the morning traffic. The airport is located in the middle of the city, and that’s one main reason for these traffic routes to be busy as people arrive and depart at all times of the day. If you have to catch a 4pm – 7 pm flight, please make your luggage and other stuffs ready way before time – you surely don’t want to miss your flight. 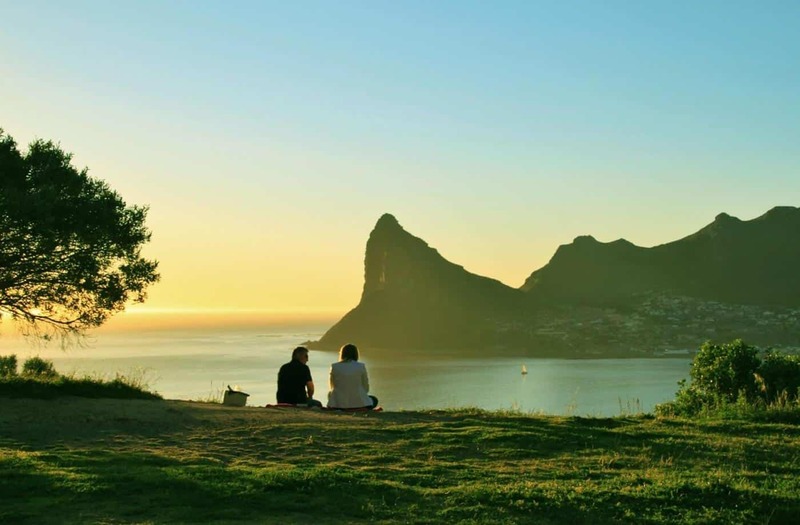 Cape Town is packed with not just natural but also with manmade fantastic attraction that cannot be excluded from your itinerary if you want the true cape experience. In this town you can experience everything from true natural wonders to amazing seaside drives to crowded shopping extravaganza. Again packing smart for any destination is another important aspect you should emphasize, especially if it’s your first trip to “Tavern of the Seas”! So, a complete list should include copies of travel documents; outfit depends on different adventures, outdoor tech & gears like camera, rechargeable power supply, and binoculars. Drive a little out of the city; you’ll get numerous off the beaten path of bird watching hotspots. Even if you don’t pursue this hobby, carrying most common size of binoculars will let you access this rewarding opportunity if you want to reciprocate. If you just keep a few things in mind, the journey and experiences will be second to none.